Keep your skin soft and smooth all day with the new soap from Bath Bubble and Beyond. The Aloe Vera Gentle Soothing Soap is so gentle it can be used on the most delicate skin, even on the face. Aloe Vera is a natural product that has been used in skin care products for centuries, known for its gentle healing properties, it can soothe most skin irritations. The Bath Bubble and Beyond Aloe Vera Soap has been handmade with the finest ingredients, the Aloe Vera and Glycerine ensure your skin stays gently moisturised all day with no irritation. The soothing Aloe Vera is ideal for sensitive and dry skin types. If you tend to suffer from problem, combination skin, then the Bath Bubble Beyond and Tea Tree Oil Soap with its totally natural antibacterial properties could be the perfect soap for your skin type. The Handmade Tea Tree Oil Soap contains tea tree essential oils, giving you a rich, luxury lather with a gentle scent of Tea Tree. Bath Bubble and Beyond Handmade Tea Tree Soap is gentle enough to use all over your body, the Tea Tree Oil naturally protects your skin from outbreaks and blemishes while the glycerin prevents your skin from drying out too much. Alternatively if you are just looking for a luxurious relaxing soak in the bath to soothe and unwind while soaking in delicious scents, the Bath Bubble and Beyond have just what you need! Bath Bubble and Beyond Bath Fizzers come in a wonderful range of scents, from the delicate and popular scent of Baby Powder, to the romantic and sensual scent of Rose. There are also mouth-watering scents to tease your taste buds! Soak in scents to stir your memories such as Rhubarb and Custard. Sweet creamy vanilla floats high over a base of rich, fruity flavours. It’s strikingly familiar, like a visit from an old friend, great for reminiscing and a comfort and remedy to bring cheer if you’re feeling the blues. Or think of all the fun of the Fair with Bath Bubble and Beyond Toffee Apple, imagine exciting rides, bright lights and candy floss. These sweet-smelling bath fizzers have a fresh apple and caramel scent that evokes bygone days, a wonderful way to relax! With our range of fun bath toys and bathroom products, children of all ages will be wanting to stay in the bath for as long as possible. 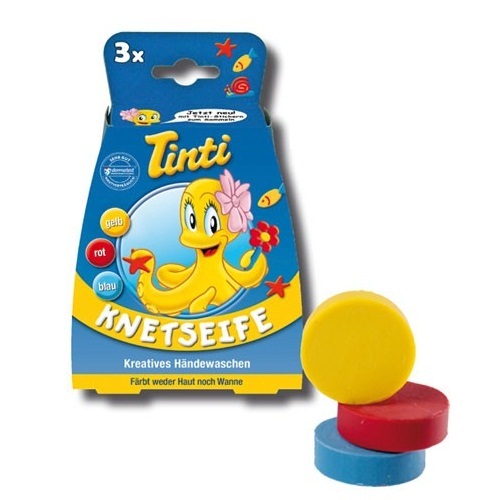 Have a game of Bathtime Basketball, the net fits easily to the bath or tiles with the suction cup and the game comes with five different coloured, comical animal character squirty balls, so if you start to lose your game you can squirt your opponent with a small jet of water until they admit defeat. Younger children will love the brightly coloured Animal Bath Puzzles, a pack of five different animals, each made with three large chunky foam pieces. They can create their own creatures with the 15 shapes, the foam pieces stick to the bath tub or a tiled wall when wet so your young scientist can have hours of fun mixing and matching the animal pieces. An Elephant, Giraffe, Crocodile, Gorilla, Ostrich or something new, perhaps a Crocorilla? An Ostiraffe? Or how about a wonderful Elerilladile? The Animal Bath Puzzles really capture the imagination and with the bright primary colours, easy to hold, safe fun foamy shapes they are an excellent educational tool for very young children as well as being great fun and inspiring their artistic flair! Create all the fun of the fair at home with a game of Pluck A Duck! A fun fishing game based on the traditional fairground game, set yourself against the timer, see who is the quickest fisherman in the family. Opal London’s Fairground Fish’em Ducks, Pluck a Duck comes with three different cheerful coloured ducks with a curved crest making them easier to slip the loop on the fishing rod over. Fun to play alone or against friends, and to complete the fairground theme you could even offer the traditional prize. A Goldfish in a Bag, but don’t worry our Goldfish gift doesn’t need a tank, nor does it need feeding. Star and Rose Goldfish in a Bag is a novelty bar of soap that looks just like a clear plastic bag, once the Gentle glycerine 160g soap is used you release the cute little Goldfish toy that can share bathtime with you and the ducks. The soap is soft and gentle on children’s delicate skin. To see our full range of Children’s Bathroom Fun gifts, games and bathroom products at TAOS Gifts just click here. All aboard! Get set for bright, colourful bathtime fun with CBeebies Characters from Chuggington, because even little trains need a bath. Koko, Wilson and Brewster are three little trains learning to ride the rails of life, join them on their journey, with, as Koko would say, these Traintastic bathtime goodies at TAOS Gifts. Take on the role of Dunbar with a Chuggington pep talk ‘Let’s get those wheels to the rails!’ as you round up your little engines for their bath. Watch their little faces when you drop the magic Chuggington Trains expandable Flannel grow before their very eyes as you drop the little 5cm red cloth into water, as it expands, their favourite Chuggington Trains will appear on the centre of the cloth as it unfurls to its full size of 30cm x 30cm. Morgan would highly recommend regular maintenance to keep things running smoothly, so we’re sure he would approve of the Chuggington Trains Battery Operated Toothbrush, it comes with a spare head and batteries, ensuring you’re ready to get working on essential engine maintenance, after all every good little train knows it’s best to keep things in smooth running condition rather than wait until repairs are needed. For the ultimate Chuggington bathtime experience, the Chug Wash Gift Set contains all you need to get sparkly clean without damaging even the most delicate skin (or little engine). The gift set contains three large (270ml) Character design bottles, 1 Brewster, 1 Wilson and 1 Koko. Wilson contains Bubble Bath, Brewster contains bath and Shower Gel and Koko Contains liquid Handwash in a useful pump dispenser. All are hypoallergenic and paraben free. Knobbly Knees, Terrible Claws, Poisonous Warts.. It’s Bathtime with The Gruffalo! Oh No! It's The Gruffalo! Do you ever have battles at bath time? It’s easy to make sure little ones have a splashing good time with our brilliant range of fun bathroom products for children, (or even those that are just young at heart). The Gruffalo is based on the popular book by Julia Donaldson, the story of a little mouse that invents the scariest monster he can imagine. “He has terrible tusks, and terrible claws, and terrible teeth in his terrible jaws. He has knobbly knees, and turned-out toes, and a poisonous wart at the end of his nose. The shocked little mouse then discovers The Gruffalo is very real! He then cleverly convinces The Gruffalo that he is the scariest creature in the forest, a classic folk tale that children love. Now you can re-tell the Story at Bath time and have your little Monsters roaring with laughter as you get them in a lather with Woodland Mist scented knobbly knees bath and shower gel on the Gruffalo Flannel in the bath time gift set. You’ll soon have them screaming in delight as they enjoy their lovely bubbly bath! 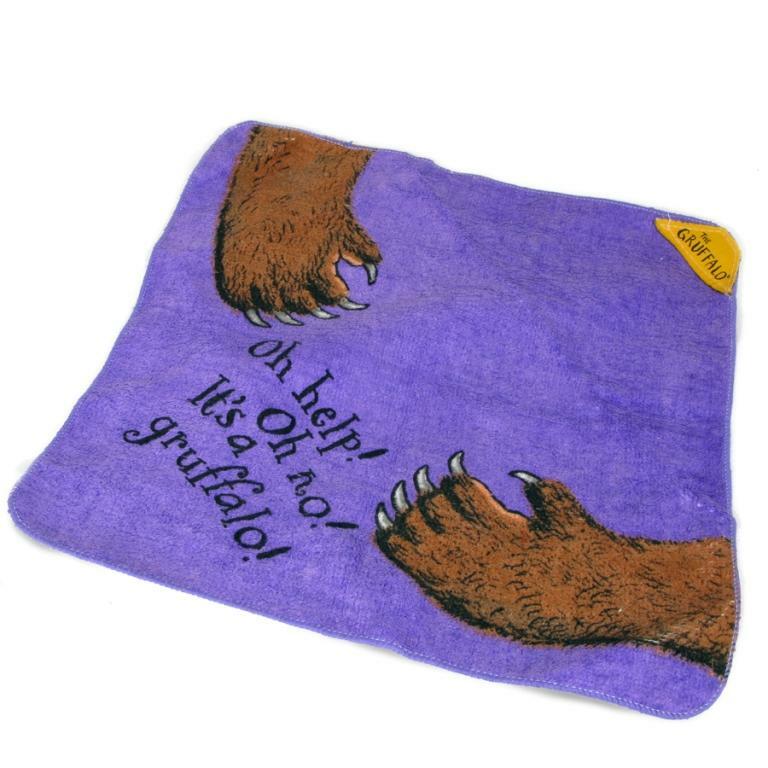 If the flannel just isn’t monstrous enough, try the Gruffalo Terrible Claws Bath Mitten, they can pretend to be The Gruffalo, it fits a child or an adults hand, not only is it a big scary Gruffalo Paw, it doubles up as a fun washing glove! Create a Gruffalo Swamp with the brilliant Gruffalo Bath Fizzers, in three different colours Orange Eyes (orange), Poisonous Wart (green) and Purple Prickles (purple) they add colour, fun and a delicate scent to the bath water. You can mix and match your Gruffalo Bath time fun and games with The Gruffalo Poisonous Wart Bubble Bath, The Gruffalo Terrible Claws Handwash for mucky paws and The Gruffalo Knobbly Knees Bath and Shower Gel. with a gentle pH balanced hypoallergenic formulations containing honey to help maintain the skins natural moisture, they’re Paraben free, use a mild sensitiser free fragrance so they’re kind to your child’s skin as well as yours and they also contain Fair trade honey! For Healthy white Fangs, just like The Gruffalo! Encourage clean and healthy teeth just like The Gruffalo, who has sparkling white fangs with the Gruffalo Manual Toothbrush, with soft bristles and a chunky grip, it’s perfect for little hands to hold and it gentle on delicate gums. The Gruffalo Battery Operated Toothbrush has a bright Gruffalo design, it comes with a spare head and batteries are included, a brilliant way to encourage children to keep their teeth clean. Lavender oil is one of the most used essential oils in aromatherapy and natural medicine, well-known for its antiseptic and calming properties, aiding sleep and easing stress, its sweet smell and pretty purple flowers are familiar with everyone. It’s also a popular household product, Lavender bags are often stored in drawers or hung in wardrobes to keep clothing smelling fresh. We are delighted to supply products from the English Lavender company, Norfolk Lavender, not just oils, but toiletries, perfume, giftware and household products, making these ideal, thoughtful gifts suitable for any occasion. The Beautiful Lucy Lavender Doll from the English Lavender Collection is perfect for the dressing table, or to sit at the bedside. With her cute smile, purple plaited hair and matching Lavender dress, she sits holding a little Lavender bag, releasing the delicate aroma in any room you choose. She’s about 20cm tall and popular with Lavender fans of all ages! Lucy Lavender also has a matching sleep pillow, available in either dark or light coloured fabrics decorated with little sprigs of Lavender. A perfect gift for an insomniac, or just to pamper yourself with a restful, peaceful nights sleep. If you’d love to immerse yourself in the sweet smell of Lavender, TAOS gifts also stock bath oils, body creams, powders, gels, and perfumes for the ultimate pampering sessions. All Norfolk English Lavender products contain pure Lavender oil or Lavender flowers grown in the Lavender fields in Norfolk, England. Have a look at TAOS gifts website to see the full range. As well as bath and health products Norfolk Lavender do a large gift range including a Tea towel for gardeners, showing many varieties of Lavender with a short guide to growing them. A lovely companion for the tea towel is the mug, tea ball and teabag tidy and tray gift set, it contains a ceramic mug with matching teabag tidy and tray, with stainless steel tea ball to the make the perfect cup of tea.